Though with great difficulty of crushing my ego a bit, I have to admit that there isn’t any other city in the county like Mumbai. Mountains, forests, caves and beaches! Pollution, aggression, claustrophobia all in one, I am tempted to elaborate this part a bit but putting it on the back burner…:) My husband would be the happiest person reading this candid admission of mine. He has always tried to convince me but I was determined to look the other way. 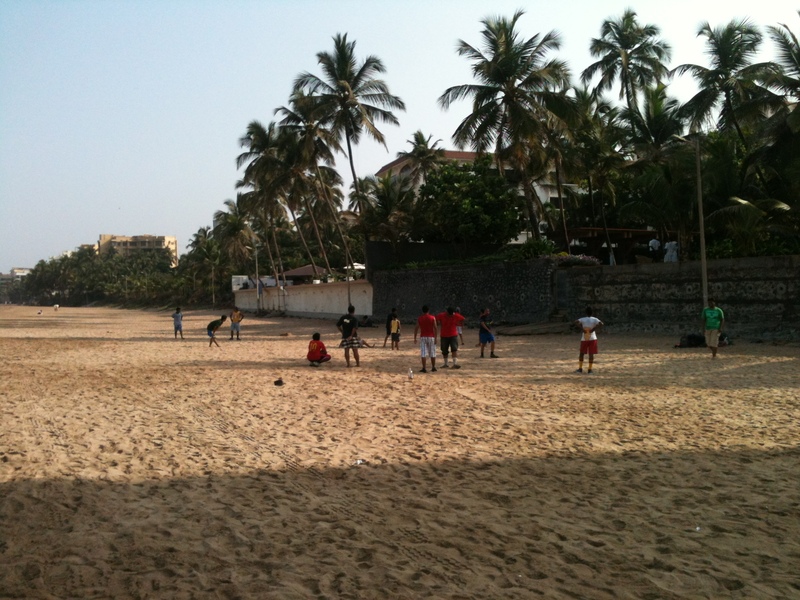 Yes, I am not a natural Mumbaikar! So many characters to it with great history and topography. 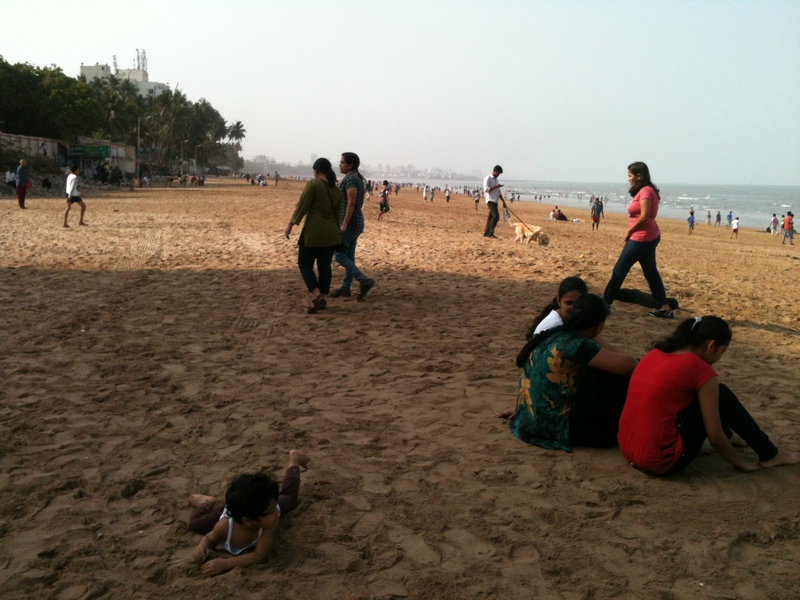 Now I am beginning to explore the beaches of Mumbai. 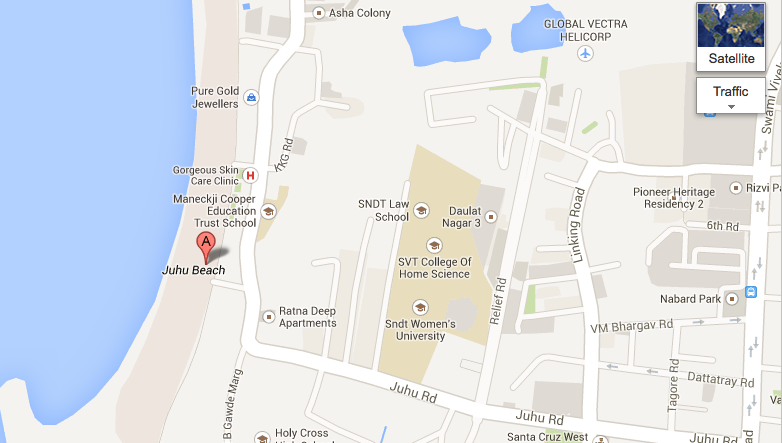 First up is Juhu beach and this is how you get there. 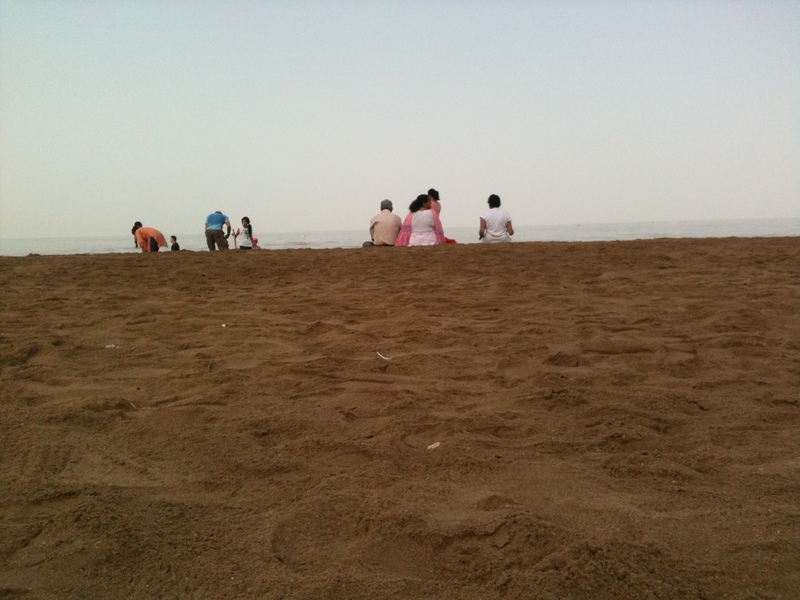 The best time to go to one of these beaches is mornings and specially sunday morning if you like to do some people watching. 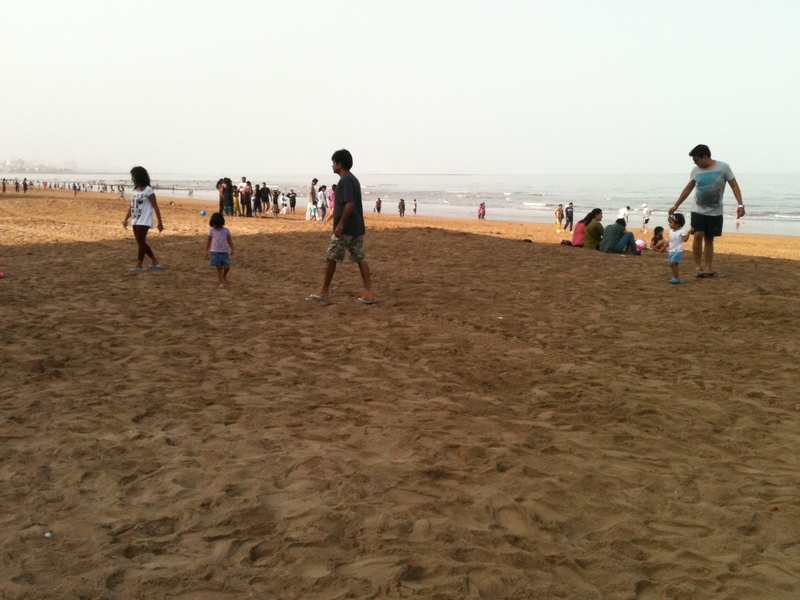 If you go in the evenings on the weekend you will witness a sea of people in front of the sea. 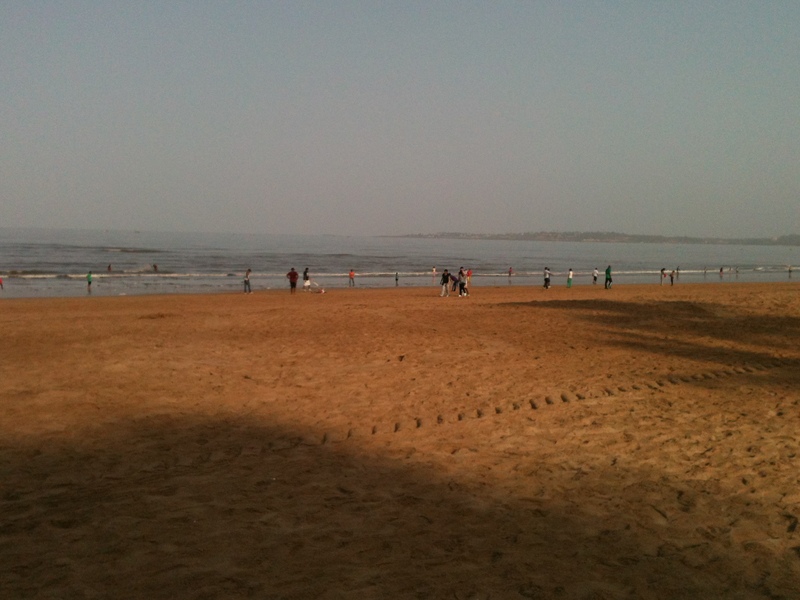 Surprisingly the beach was very clean. Thanks to the citizens’ forum in this locality that is pretty active and forthcoming. 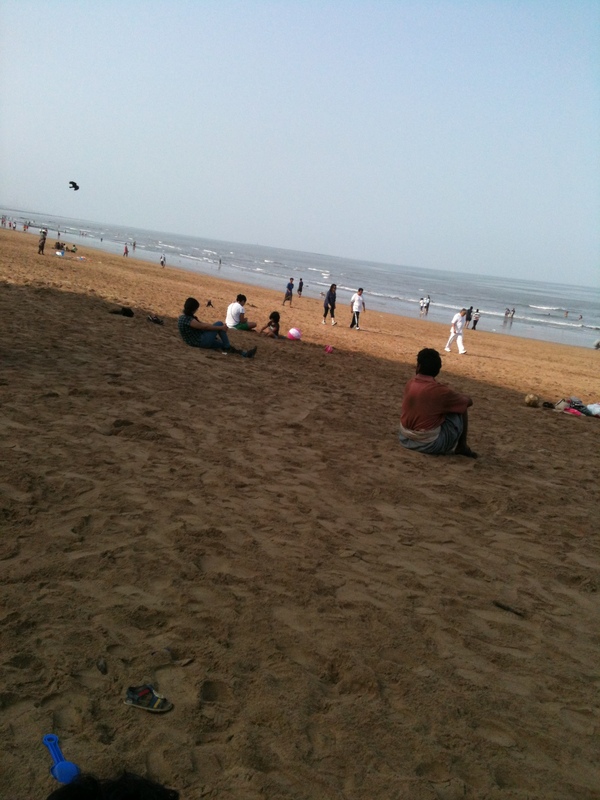 People just sit around and gaze into the vast expanse of the Arabian sea. Through the week they get cooked in the pressure of what this city demands and come sunday they come here to relax. 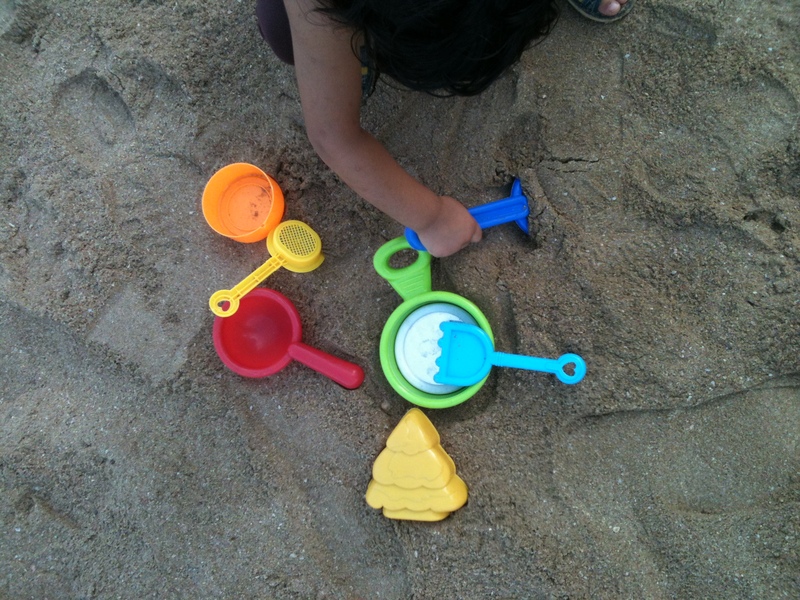 K just loves to do diggy diggy in the sand, I guess all kids do. So pack your picnic basket and sand toys!